Purchasing the homeowners insurance that is right for you and your home can be confusing, especially for first-time buyers. By learning the basics on how to get the most for your money, you can save on your homeowners insurance and feel confident you have adequate coverage. Here are tips when you purchase your homeowners insurance. Companies generally have deductibles (what you pay before your insurance policy kicks in) starting at $250. By choosing a higher deductible $500, $750, $1,000 or higher), you’ll have a lower annual premium payments. Improve home security and safety. If your home has certain types of fire alarms, burglar alarms, locks or smoke detectors, you’ve reduced your risk and may qualify for a credit. Insure your car and home with the same company. You can save money if you have more thank one type of policy with the same insurance company. The more business you give a company, the more savings they can pass along to you. Contact Mel Foster Insurance today to customize your product to match your needs and wants. Western National Insurance Group today announced that Davenport, Iowa-based Mel Foster Insurance has been named one of Western National’s Circle of Excellence Agencies for 2019. The Western National Circle of Excellence recognition is announced annually to spotlight an elite group of partners who have excelled based on performance and growth over the past six years (2013 – 2018). An agency must also demonstrate that they meet high standards of professional excellence and integrity in order to be considered for this recognition. Mel Foster Insurance’s place among this list is a testament to the overall quality of the agency’s insurance professionals and their commitment to meeting the needs of their insurance clients. 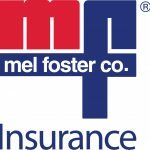 This recognition places Mel Foster Insurance in the 90th percentile of all Western National partners for overall performance, growth, and partnership over the past six years. Purchasing the auto insurance that is right for you can be confusing, especially for first-time buyers. By learning the basics on how to get the most for your money, you can save on your auto insurance and feel confident you have adequate coverage. Here are some tips to lead you in the right direction when you purchase your car insurance. Drivers with good driving records can save as much as 60 percent over drivers who cause accidents. Buy a car that includes safety features. Safety features include anti-lock brakes, alarms or other security features, airbags, and automatic seat belts. This does mean paying less for your policy. You could save money if you have more than one type of policy with the same insurance company. Good student credit for maintaining a B average, or if a driver i your household is living away at school and not driving as much. United Fire Group (UFG), a property and casualty carrier, is proud to announce Mel Foster Insurance has recently been named as a Tier 1 Platinum Partner Agency. Agencies are awarded this top recognition based on UFG’s high quality standard of measurement. Agencies across the nation are evaluated against each other based on written premium, loss ratio, new business production, premium growth, and policy/premium retention.  “This recognition continues to acknowledge the amazing group of professionals’ we have on our team and the top notch insurance we provide our personal and business clients. We are proud to be in the top eight percent of the agencies receiving this status,” said Marc Engels, president Mel Foster Insurance. Mel Foster Insurance is located at 3218 E. 35th St. Ct. Davenport, Iowa. For more information about Mel Foster Insurance, visit www.melfosterinsurance.com. Bad Santa: Protect yourself against theft this season. 2014 marked nearly 15,000 home thefts during November, December and January, according to Nationwide claims data. In 2016, nearly 26 million Americans had a holiday package stolen from their front porch or doorstep, up from 23.5 million porch thefts reported in 2015, according to a study released by InsuranceQuotes. 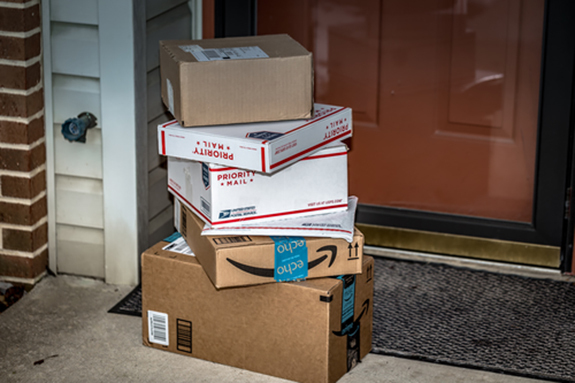 As online shopping becomes more popular, increasing the number of deliveries to homes, clients should be prepared for these types of porch pirates. Tips include making sure you’re home when you’re expecting a delivery, sending deliveries to your office, asking a neighbor to take in a package or utilizing a pickup service such as Amazon Locker, which “allows you to pick up a package at your convenience,” Lindsay says. In 2017, fraud attempts between Thanksgiving Day and New Year’s Eve increased by 22%, while the number of online transactions increased by 19%, according to ACI Worldwide, an electronic payments solutions company. Second, “use credit over debit,” Lindsay says. “With a credit card, you have some recourse if somebody steals your information. As we all know, a debit card comes right out of your bank account.” Of course, looking out for any unusual activity on bank statements or credit reports is another important preventative measure to guard against online fraud. And never do something like this: You’re at the mall and you can’t find the gift you’re looking for, so you decide to sit down, log in to the public Wi-Fi and start searching for it. Your clients might be headed out of town this holiday season, but remember: Crime doesn’t take a vacation. That’s why it’s important to “make sure it appears like you’re home,” says Lindsay, who recommends putting a stop on newspapers and mail, as well as leaving lights on. After securing the premises and making sure alarm systems are in working order, “we also recommend that people have someone check on their home while they’re away,” she adds. Year end is a perfect time to review your insurance policies for home, auto and life. Not only could your current policy coverages need adjusting but your life circumstances may have also caused need for change. Consider the following suggestions to stay current. The easiest way to organize and review your insurance policies is to create a one-page summary for each policy. This is often spelled out for you in the declarations page but you could also create your own policy template in excel or on paper to include relevant information in a way that can help you understand and remember it. Determine the type of policies you have first. Establish if you have life insurance, property and casualty insurance, auto insurance and who the carrier is for each. Make a note of the customer service numbers. If you created a single summary form as suggested above, add the policy numbers, policy issue date and what the premium is on your form. Don’t forget to update beneficiaries for the policies if necessary. Once you have the basics down, review details of the policy so you understand how the benefits work and what restrictions apply. Reviewing once a year can help you spot places where you have duplicate coverage, too much coverage, or areas where you are under-insured. In what situations and through what procedures can cash values be accessed? When your home owner’s insurance is up for renewal, it’s important to review the whole policy. Even if you haven’t made any significant developments or improvements to your home, it is possible that other changes have occurred that your insurance agent should know about. Changes in the real estate market may affect the current policy or changes in lifestyle, living situation, or income are all factors to consider when reviewing your home owner’s policy. Auto insurance policies need to be reviewed to ensure that you have adequate coverage and protection for all drivers. Did you add any drivers this year? Have your driving habits changed so that you drive more or less this year as compared to last? Will you have any upcoming road trips that may require additional coverage? If the value of your car has dipped below $3,500, it might be a good time to remove the collision coverage and go for liability only. Taking the time to review these aspects each year will save you money and give you peace of mind. Take a look back at your year and establish if and how your responsibilities have changed. You may need to increase your insurance coverage to accommodate the care of all who depend on you. Note how your health, activity or stress levels are compared to a year ago and be sure you are comfortable with your insurance coverage. To conduct a thorough insurance review, call Mel Foster Insurance to schedule an appointment or visit our website. When it comes to protecting the things that matter most, add an extra layer of coverage with umbrella insurance. An umbrella policy offers the extra coverage you need to protect your family, your assets and your future earnings from the threat of a large lawsuit. Consider these potential scenarios in which having an umbrella policy may provide additional coverage once you’ve exhausted your current auto and home limits. Do you have enough coverage in your existing policy if these events happen to you? Example: You are sued for causing an auto accident that resulted in injury and death. Medical bills will quickly exhaust your underlying insurance policy limits. Without an umbrella policy giving you additional coverage, would you have enough money to hire an attorney? Would you have the funds needed to pay a jury award or settlement? Example: You are sued because a child drowned in your pool. Without an umbrella policy, would you be able to afford the settlement costs for that child’s death? Example: You are sued because your son caused an accident that resulted in permanent injuries to another person. If you are sued for the injuries, medical bills and loss of earnings of the other party, these costs will likely be well beyond the limits of your auto policy. An umbrella policy may have protected your future earnings and taken care of defending you in court. Example: You are sued because the candle you were burning started a fire in your apartment building. Costs can pile up quickly in a multifamily building. The building owner may sue you for damage to the building and loss of rents. Other tenants may sue you for the costs associated with cleaning or replacing their belongings, the costs of moving and the increase in rent they would pay at another building. You have a renter’s policy, but is the liability limit enough? Accidents happen and some choices you make with your coverage can help lessen the severity of the blow. That’s why an umbrella policy is so important. Contact your Mel Foster Insurance agent today and discuss your options for adding umbrella insurance. Mel Foster Insurance launched a new website to better meet the changing needs of its clients. New features include a mobile responsive design, richer content about insurance services, more precise navigation options and images that load faster for busy users. “Today’s consumer wants information quickly and without hassle. We listened closely to what our clients wanted from a new site and are pleased to deliver on their requests,” said Marc Engels, president of Mel Foster Insurance. Those searching for information can now quickly find it at melfosterinsurance.com. The site features current industry news about insurance, tips for consumers and more detailed information about Mel Foster Insurance offerings including personal lines (home and auto), business insurance, transportation insurance, employee benefits and wealth management services.